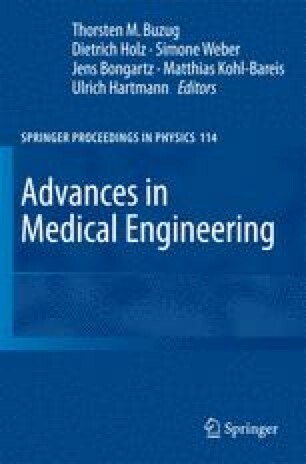 A numerical model was developed to examine relationships between energy absorption rate (SAR) and temperature distributions in of a phantom containing a hip prostheses implant during radio frequency deposition in MRI. Calculations of SAR and the resulting temperature increases were performed for different frequencies, i.e. B0 values of 1T, 1.5T, and 3.0T. Experimental measurements at B0=1.5T are compared to the numerical results yielding good qualitative agreement. Attempts to ensure RF safety in MRI often rely on assumptions about local temperature from local SAR levels. In case of patients with implants calculations of temperature may be preferable to calculations of SAR because of the more direct relationship between temperature and safety.